The @UN inspectors' report, the work of @OPCW , @WHO & #UNSG shows the relevance of the multilateral toolbox, given political will to use it. Human Rights Watch has called upon members of the United Nations Security Council and other UN member countries to publicly oppose attendance of Sudanese President Omar al-Bashir at the UN General Assembly. Al-Bashir is wanted by the International Criminal Court (ICC) for serious crimes committed in Darfur. US government officials have said that al-Bashir has applied for a visa to attend the UN General Assembly, which is scheduled to hold its general debate from September 24 to October 2, 2013. He is subject to two arrest warrants by the ICC for crimes in Darfur – one for genocide and another for war crimes and crimes against humanity. The ICC opened an investigation after the Security Council referred the Darfur situation to the court in Resolution 1593 in March 2005. 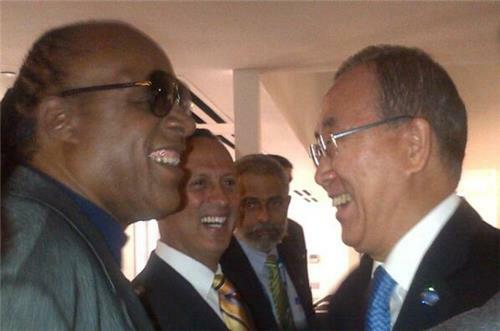 A visit by al-Bashir would be the first to the UN or the United States by someone subject to an ICC arrest warrant. Many countries, including ICC members and non-members, have avoided anticipated visits by al-Bashir by encouraging him to send other Sudanese government representatives, rescheduling or relocating meetings, or cancelling his visits. They include South Africa, Malaysia, Zambia, Turkey, Central African Republic, Kenya, and Malawi. UNSG Spokesperson on UN Syria report: "The mission confirmed objectively, unequivocally the types and trajectories of the rockets that led to the death of so many civilians. The terrible facts speak for themselves." UNSG Spokesperson on Commission of Inquiry report of NK: reports showed "widespread and serious violations" and Secretary General hopes the DPRK will cooperate fully with Commission of Inquiry and UN Special Rapporteur on human rights in North Korea. UNSG Spokesperson on questions of protocol for war crimes: "The Secretary General considers chemical weapons to be a war crime." Martin Nesirky, spokesperson for Secretary-General Ban Ki-moon, briefs the press on September 18, 2013. Special Rapporteur of the UNSG: calling for a "gradual return to normalcy in Afghanistan." UN Secretary-General Ban Ki-Moon says at least 131 heads of state or government attend the United Nations General Assembly-- one of highest turnouts in UN history. 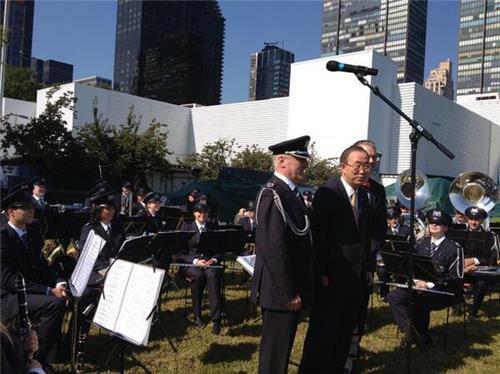 "I will meet with as many world leaders as I can," said Ban on September 17. "I am determined to pack a lot into these encounters. We have much to discuss." Yan Kubish, UN special Envoy for Afghanistan: "President Karzai has called for full Afghan responsibility for security and move toward a self-reliant economy, toward stability." UN Secretary-General Ban Ki-moon commended efforts by new Iranian President Hassan Rouhani's government to engage with the international community and praised Tehran for releasing several prominent prisoners, Reuters reports. Ban met with Iranian Foreign Minister Javad Zarif earlier on Thursday and said he plans to meet with Rouhani on the sidelines of the U.N. General Assembly in New York next week. Rouhani is due to address the United Nations on Tuesday. Since Rouhani was elected president in June, the centrist cleric has called for "constructive interaction" with the world, a dramatic shift in tone from the strident anti-Western rhetoric of his predecessor, Mahmoud Ahmadinejad. 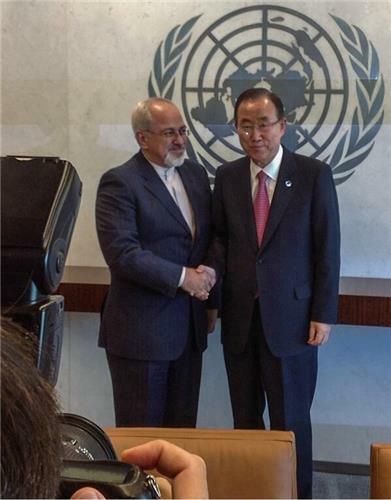 "I told Minister Zarif that I commend the efforts of the new government in Iran in promoting dialogue with the international community," Ban told reporters. "I'm going to meet President Rouhani next week ... (to) discuss all the matters of regional concern very closely." Iranian President Hassan Rouhani published an op-ed in the Washington Post Thursday promoting a message of 'constructive engagement' ahead of his appearance before the United Nations General Assembly. "Three months ago, my platform of “prudence and hope” gained a broad, popular mandate. Iranians embraced my approach to domestic and international affairs because they saw it as long overdue," writes Rouhani. "I’m committed to fulfilling my promises to my people, including my pledge to engage in constructive interaction with the world." The best editorial cartoons of 2013 (so far): A collection of cartoons from around the country. An off-the-cuff remark by Secretary of State John Kerry and Russia's wrangling of its ally Assad appear to have staved off any intervention for the moment on the basis of a Syrian agreement to surrender its chemical weapons stocks. What remains to be seen is what form a U.N. resolution backing Kerry and Russian Foreign Minister Sergey Lavrov's plan to destroy Syria's chemical wepaons will take. The veto-wielding Western powers in the Security Council -- the U.K., France and the U.S. -- want a resolution that authorizes the use of military force should Syria fail to meet its obligations. Russia and China, meanwhile, have made clear that they would use their own veto power to prevent such a resolution being adopted by the Security Council. A vote is expected as early as this weekend, but could be dragged out further into the General Assembly. But even if the chemical weapons stockpiles are safely destroyed, the people of Syria will remain in the same situation as before. U.N. Secretary-General Ban Ki-moon and joint U.N.-Arab League envoy Lakhdar Brahimi have said countless times that the only solution for Syria's war is a political one. But Russia and Iran continue to support Assad diplomatically, financially and militarily, while the U.S., EU and Gulf states support the rebels in much the same way. On Wednesday, Rouhani told NBC news that his government would never develop nuclear weapons. Days before that, his government released 11 prominent political prisoners. Earlier this month, he sent New Year's greetings to Jews around the world on Twitter. The White House has cautiously welcomed what seems to be an olive branch from Tehran, saying it hoped the Iranian government would "engage substantively" to reach a solution and address concerns about Iran's nuclear program, which the West suspects could be aimed at developing nuclear weapons. Last Sunday, in an interview with ABC, President Barack Obama said he and Rouhani have exchanged letters, feeding speculation that the two presidents may meet on the sidelines of the Assembly -- which would be the first meeting between an Iranian and American leader since before the 1979 hostage crisis. Even a casual Rouhani-Obama chat in the corridors of the U.N. building would be taken by many Iran-watchers as improving the prospects for a diplomatic solution to the protracted stalemate over Tehran's nuclear program. President Barack Obama will meet with Palestinian Authority President Mahmoud Abbas on Tuesday and will discuss the Middle East peace process during a speech that day to the United Nations General Assembly, the White House said on Friday. Our colleagues at Al Jazeera English report that Sudanese President Omar Hassan al-Bashir plans to travel to New York this week for the UN General Assembly. President Bashir is wanted by the International Criminal Court (ICC) on charges for war crimes and genocide in Sudan's Darfur region. The United States State Department said last week that Bashir would "not receive a warm welcome" if he traveled to New York. While Washington has not officially announced whether President Bashir will be granted a visa, Bashir will risk arrest stepping foot into the US. He is expected to address the UNGA on Thursday. Global transmissions of the human immunodeficiency virus (HIV) have dramatically decreased over the last decade, but there are still widespread challenges to further reducing the number of people infected, according to the United Nations’ annual report on HIV and AIDS released Monday. Globally, new HIV infections are down by 33 percent since 2001, and have been more than halved among children. But HIV is far from being a problem of the past. Last year 2.3 million people, including 260,000 children, contracted the virus. The pandemic is still especially prominent in sub-Saharan Africa, where 90 percent of the world’s 3.3 million infected children live. Much of the progress in combating HIV transmission has come from increased access to antiretroviral drugs, according to the report. The drugs work by significantly reducing the number of HIV antibodies active in infected people. If given to pregnant women, they can even prevent the transmission of HIV from mother to child. A US official confirms Secretary of State John Kerry to take part in United Nations P5+1 (that's the UN Security Council plus Germany) meeting with Iranian Foreign Minister Mohammad Javad Zarif this week. 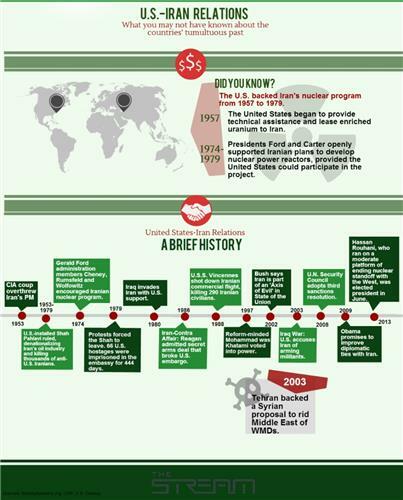 Iran's nuclear program is expected to the primary focus.